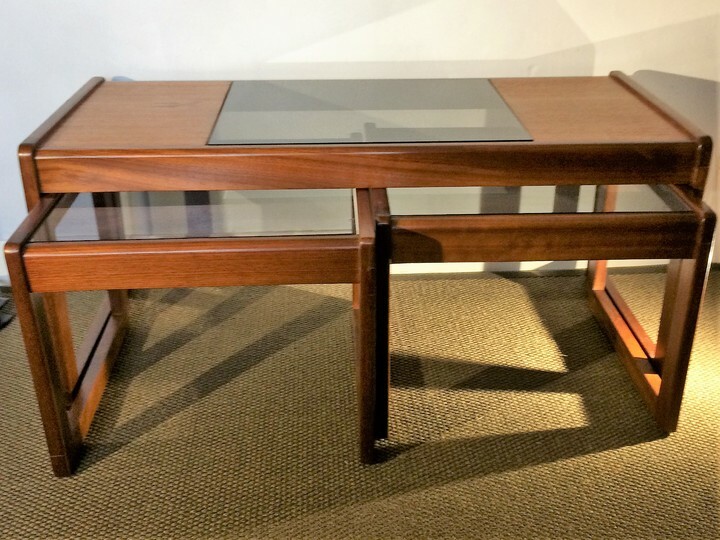 We don't know much about Sunelm other than it was based in the northeast of England and made furniture that was heavily influenced by G-Plan. 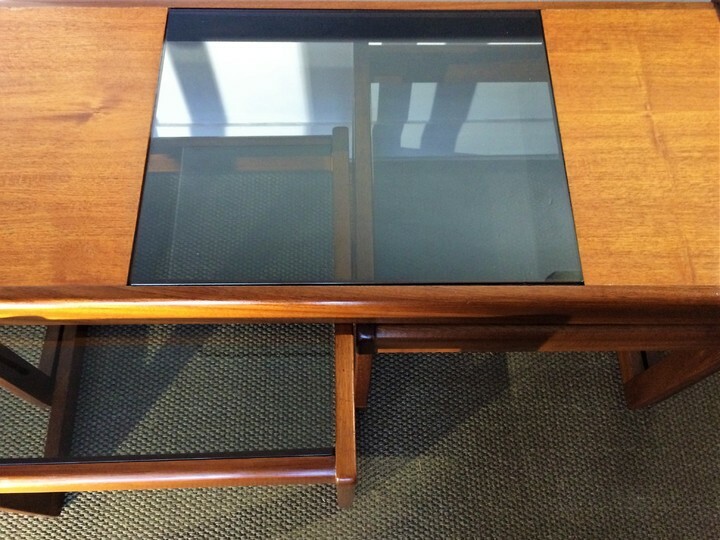 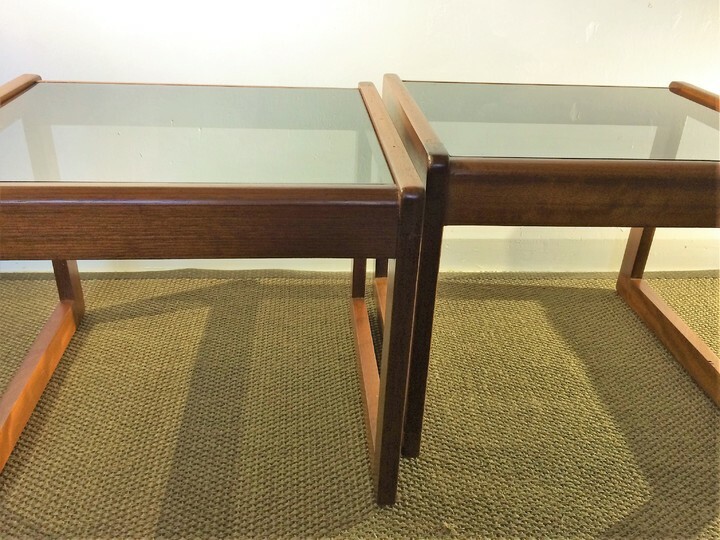 This nest of tables dates from the 1970's and consists of one large coffee table and two lamp or occasional tables each with smoked glass tops. 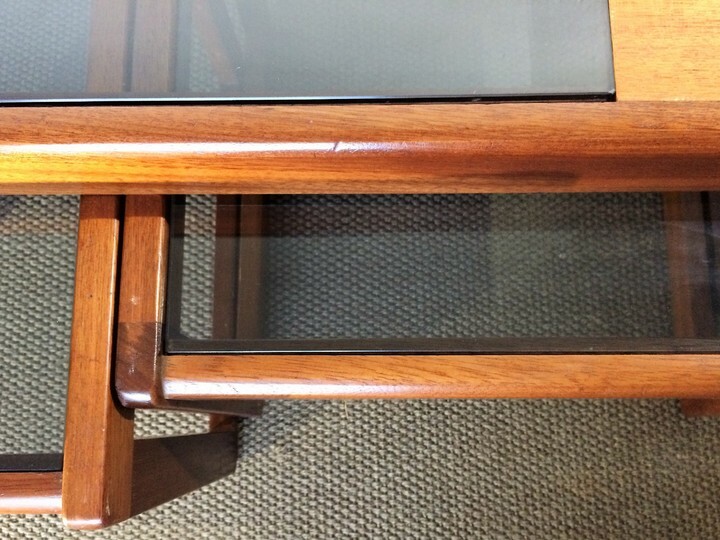 There are a few minor marks to the teak but no obvious damage to the glass .